New article by an electrical engineer from Venezuela. Thank you to all the experts who participate in this community! Enjoy and don’t forget to leave a comment if you want to share your thoughts on the electrical contactor. Nowadays, there is an increasing need for users to take control of the comfort and safety systems installed in their area (air conditioner, lightning, and others) . There are powerful reasons for this, the main one is the birth of a new trend, that goes back to the year 1999 , known as Building Automation Systems (BAS). This is related to the need of having control over systems by adding a special panelboard, like a PLC, a relay, a control panel, among others. Do you often work on low voltage electrical installations? Are you part of electrical engineering projects as a consultant, designer, contractor, panel builder or facility manager? 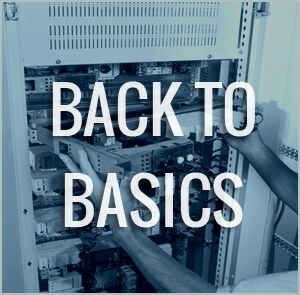 Then keeping up with the IEC standards might be an everyday struggle for you all. 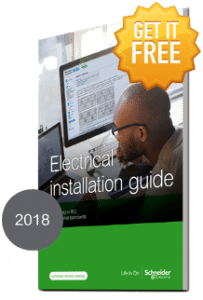 Well, please do you a favor and click here to DOWNLOAD the Electrical Installation Guide FOR FREE (brand new 2018 edition). This very useful guide is currently available NOW and for FREE while the regular price is 60 euros. Don’t miss it! 4 forms of partitioning low voltage switchboards – why is it necessary? Did you ever wonder about partitioning of low voltage switchboards? This important process is explained below by Eric S. who sent an article to the EEC team last week. 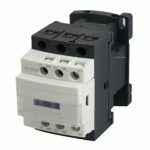 As we all have learnt earlier, circuit breakers are generally used to safeguard electrical equipment from voltage spikes. In this article, one of the member of the community Eric S. will discuss about the different methods that are used to secure low voltage circuit breakers in a typical setting. You can also send us articles in our boxmail, we will publish it with great pleasure.